Through the second door on the left—his corner office—the phone was ringing. Behind, with another dent added to the wall, the door stay squealed as it progressively rel eased its load before dropping the weight through the last few inches to slam shut. As Boniface picked up speed, with each step the smell he had noticed when he opened the door but had tried to ignore was tugging at his nostrils with newfound vigor. A bitter, acrid smell—ammonia fused with filth, fused with never-washed human. It wasn’t rotting food or decaying household waste or forgetfulness to apply deodorant or a broken-down heater meaning a missed shower. It wasn’t that Montbretia had left something in her trash or that the cleaner hadn’t been through last night or the night before, and it definitely wasn’t the smell of the new carpet. It was more like a municipal waste dump in the heat of summer to a factor of ten. He leaned to rest his head against the cool glass of the window and looked down on Wimbledon Hill Road, his breath misting the pane. From his vantage point two floors up, the perspective of the street was squashed. Everything looked its regular size but somehow flatter, and through the tinted glass, under the dull light with the sun still under the horizon, everything took on a monochrome hue. A bad smell can be acceptable—as much as any smell can ever be acceptable—if you can get away from it and breathe clean air, but for Boniface, the smell wasn’t shifting. If anything, it was holding tighter and working its way farther up his nostrils and scraping down into his lungs. He stepped back from the window and looked around as if he would be able to see the source of the smell or at least see the smell floating across the room, then reached for the trashcan under his desk. Seeing a fresh liner in it, he shrugged, replaced the bin, and sat on his desk, pulling out his bottom drawer to rest his feet. Boniface listened. Nodded. Made more noises of affirmation as if to imply he was paying attention to Chlodwig rather than wondering about the smell and being frustrated about the early hour. As the German responded, Boniface stood, gently kicked his drawer closed, breathed in slowly as if that might reduce the pungency of the smell, and pulled back his shoulders, still not paying much attention. He had already heard the arguments, and given what he was about to disclose, he wished that Chlodwig’s voice had been heard more forcefully before the purchase of the Montenegro Shipping Line was completed. Boniface stared out of his window again. In the distance he could hear a siren. The monochromatic light of the street below, now with a steady flow of traffic, was illuminated by a gentle flickering light at the lower end of the hill. One, then a second police car came into sight from the bottom end of the hill, their flashing lights bouncing off the storefronts. As they reached Boniface’s building, the two cars turned into the road bounding the second side of his office. He watched as they turned, their sirens attenuating as they disappeared from view, and stayed gazing at where he had last seen the vehicles. He caught sight of his reflection in the window—his face, gray like the street outside, with all signs of joy drained—and registered the tremble in his voice as he tried to say out loud that his client might have been responsible for the deaths of more than one hundred people. One hundred innocent people. Men. Women. Children. He hadn’t mentioned the other people who might be hurt: not only those who were visibly injured, but those who would be ill for years to come. Those who might contract cancer. The birth defects. The people whose lives would be blighted through polluted drinking water and living next to a toxic-waste dump. His door opened. Two police officers—uniformed and wearing stab-proof vests—entered the room: a man in his mid-thirties with a younger officer, almost certainly fresh from the Peel Center, the Met’s training college, standing nervously behind. They both stood at the far end of the room, apparently unwilling to step forward. “Would you end the phone call, please, sir?” It sounded like a request, but Boniface understood that the officer was giving an order. “Death is never easy.” Boniface exhaled. 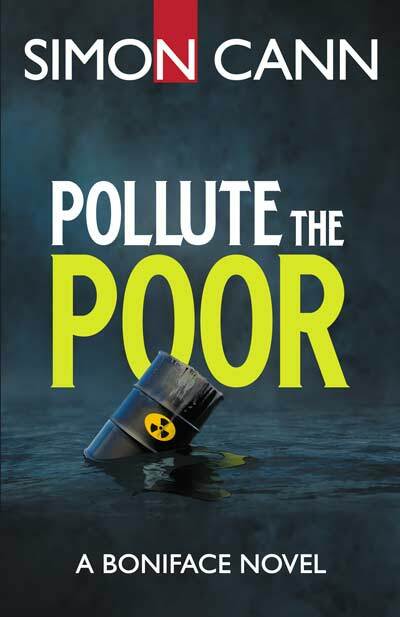 Return to Pollute the Poor page.